Pajunk Stimulating Kits are available with either a non-echogenic Nanoline Needle or with Pajunk's innovative Sonoplex Needle. Each kit features a Tuohy Needle, and a stimulating catheter. 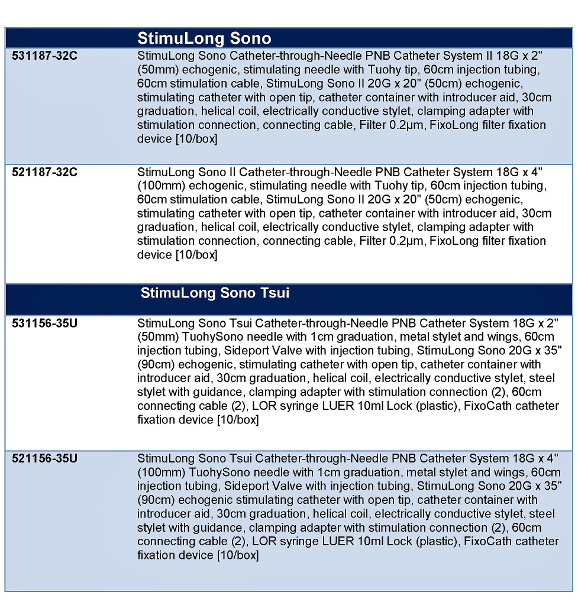 The Stimulating Sono-Catheter features a conductive stylet with an integral helical coil with central opening. 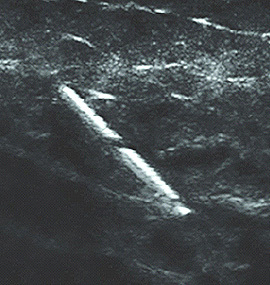 The Stylet provides excellent ultrasound visualization.